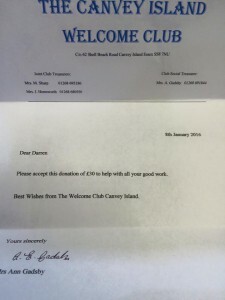 Our Fundraising officer Darren received a very “welcome” donation from the Canvey Island Welcome Club today. Thank you, the funds donated will be put towards further community heart start equipment. Furtherwick WI nominated Canvey CFR’s as Charity of the Year!